What is memo and why may your boss need to receive it from you? Well, it’s a document, which provides plenty of information in a very brief form if it’s properly composed. Now, we will get to know how to compose a nice memo that can be given to a boss. What is memo? A memorandum (for shortness, memo) is an official document type that’s used inside a company for information. It’s used to convey a certain portion of information to a group of employees or to one person. It’s main usefulness and purpose is in its briefness and clarity. There are no precise rules for writing memos but there are certain criteria of a memo quality and a range of typical features of a memo. For instance, you can compose a memo that takes only one page or a document that consists of several ones. However, if you are writing it for your boss, you need to be sure that he or she has time and interest to read several pages. At best, you should be as precise as possible and save your supervisor from a lot of unnecessary reading. Since memos are internal communication means, there can be regulations inside each company regarding the size and methods of formatting of memos. In case there are none, you should use the general rules, which will be listed below.Main features of a good memo to a boss A memo meant for your boss is short and clear. In it, you render no useless details that are of no importance. On the contrary, you remove everything that has no meaning before your memo gets to its addressee A memo that you are going to give to your boss relates to subjects that are interesting to the boss or are within the area of his or her competency. That is, if you are a sales manager, you can write a memo on a decrease in the effectiveness of the sales department. Yet, you should never bother your boss with something like “the janitor moves flower pots and places them in a wrong order” A memo to a boss should also contain your ideas on what should be done with the problem that requires the boss’ attention. Focus on unique ways out and things that have never been tried before. A good memo to a boss should also contain the description of goals you want to achieve with the help of your strategy and the steps that will lead to this goal. It should be obvious that the goal is achievable. 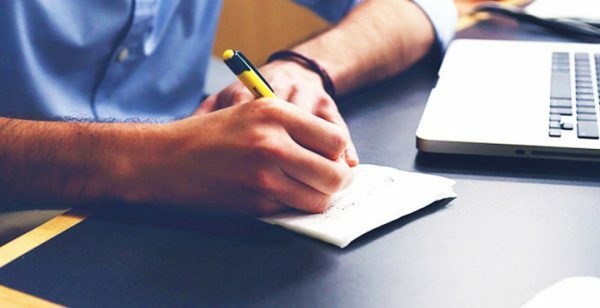 Finally, the most properly composed memo to a boss will also contain some information on the possible risks and the precise actions you want to see from your boss, which are needed right now Now, when you know already what should be in a good memo to a boss, you need to have a pretty clear idea of how to write a memo. As a rule, people get completely puzzled when it comes to official documents like this and find it very hard to invent at least a couple of sentences. The simplest memo can even be handwritten and there’s nothing complicated in composing it. Below, you will find several steps that will guide you to composing a good memo in a matter of minutes. 1: Start with a heading. Type of write the word “memorandum”, all capital letters, in the top left corner of a page. If you are using a computer, type the word in bold. If you write, just make letters clear. 3: Add recipients providing there are any. The next line will look like: “CC: Emily Smith”, which stands for “Courtesy Copy”. This is a person who you are not addressing directly but the one who should also be informed. 4: Sign the memorandum. This will be the next line looking like: “FROM: Jerimiah Brown”. You are a formal person in this situation, too, so don’t forget your title. 5: The fifth line, after all the addressees and senders are named, it’s time to set the date. It will look like: “DATE: September 7, 2018”. 6: Finally, you are getting closer to the essence of your memo and it’s the subject. Keep on writing in the same column, under all the previous lines. “SUBJECT: Subordination issues in the office”. The subject should be short but convey as much information as possible. 7: If you like, you can add a line that will separate the heading (which involves all the above-mentioned lines) from the text where you are going to describe the problem for your boss. 8: Now you need to start writing about the problem and before you begin, you should think about those who will read it. It will help you choose proper words that will not offend anybody or reveal things that not all employees should know. 9: Get down to the explanation of the issue without many salutations or so. Remember about being laconic and avoiding really unnecessary details like the colors of suits, weather, and other things that don’t relate to the matter. The story should begin with the problem that’s described in no more than one paragraph. 10: Provide the context that will help your addressee understand the problem. For example, you are speaking about subordination issues and give an example of a precise situation when employees don’t follow subordination rules. Provide the context that will make your statement stronger. For instance, it can be a repeated situation in the office when people behave too daringly with their manager. 11: In the next paragraph, state your proposals regarding the matter. Name the benefits the company can have from the steps you suggest and the trouble that will come as a result of staying out of action. Also, suggest what the reader, i.e. your boss is supposed to do in this situation. 12: Round it up with some warm and polite summary. For instance, you may write something like, “I would be happy to discuss this situation with you at any given time that’s convenient to you”, or something like this. Don’t forget about your kindest regards and best wishes, and that you are “sincerely yours”, and so on. A couple of sentences will do fine. How to write a memo to a boss properly If you are into handwriting, it would be better to you to choose clear white paper and make your handwriting as distinctive as possible. Your boss will hate to decipher awkwardly handwritten lines, no matter how important they are. If you are typing the memo on a computer, use proper formatting that will make the document easy to read and pleasant to look at. Use a good clear font that’s easily read: Times New Roman, Calibri, or Arial. Give the pages proper margins. They may be useful for your boss’ remarks and notes. Separate paragraphs with double line spacing. Make sure you do the proofreading after you complete the writing. There should be no errors in grammar, punctuation or the content. Make sure all the names are written in a proper way. Remove everything that’s out of place in your memo, all the unnecessary details and useless explanations. After printing the memo out, sign it with your hand. Though there’s no separate line for the signature, you can and should sign it either at the bottom or next to your name in the header part. It will show that you have seen the memo and that you approve everything written in it. Now you can deliver your memo as you would prefer. It’s also possible to send memos via email. In this case, you will need to save your document as a PDF and attach it to the body of the email.